One of the most common questions we get from Paleo beginners is some variation of “am I doing it right?” So here’s a handy checklist to help you figure it out for yourself, designed to pinpoint some of the most common beginner mistakes and misunderstandings. The checklist is designed for people who have already been trying to eat Paleo for at least a few days. 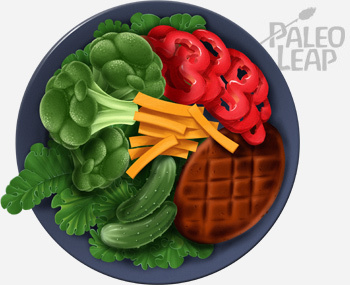 If you’ve never heard of Paleo before, the quick version is here. Take a look, try it out, and save this checklist for a week or so. 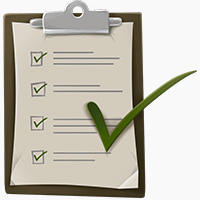 To use the checklist, look at each group of statements separately. Each group is testing for one of 5 common beginner problems. Read the statements and decide how well they apply to you. At the end of each group of statements, there’s an explanation of what the statements were testing for and how to understand your results. I’m not eating peanuts or peanut butter. I’m not eating quinoa, amaranth, buckwheat, spelt, emmer, or any other grains or pseudograins. I’m not eating “whole-wheat” anything. I’m not eating chickpeas, lentils, black beans, kidney beans, or other dried beans (fresh green beans are OK). I’m not drinking any artificially-sweetened soft drinks (Diet Coke, etc.) or energy drinks (Monster, Red Bull, etc.). If the above statements sound like you, then congratulations, you’re successfully avoiding “health food” that isn’t actually Paleo. You haven’t gotten caught in the trap of foods people think are Paleo for some reason, even though they actually aren’t. It might sound a little ridiculous, but so many people try to eat Paleo without really understanding what it involves, and seriously compromise their results. If the above statements don’t describe you, then you’re probably not quite clear on what Paleo actually is. You’ll get much better results if you really understand the diet, so here’s a basic guide to get you started. Your plate should look like this: meat, lots of vegetables, and some sweet potato fries (or another starch) if you like them. I could easily imagine an entire day’s worth of meals and snacks that doesn’t include any nuts or dried fruit. 90% of my meals do not include any of the following: Paleo bread, Paleo cookies, Paleo pancakes, Paleo pizza, Paleo waffles, Paleo brownies, Paleo granola bars, Paleo candy, Paleo ice cream, or Paleo cake. I eat vegetables with every meal. I eat animal protein with every meal. I do not rely on bacon as a staple protein source. If the above statements sound like you, then congratulations, you’re following the spirit of Paleo, not just the letter. A very common beginner mistake is trying to re-create their old diet with foods that are technically Paleo. But Paleo was never meant to be about re-creating junk food with nut flours. If your plate is predominantly filled with meat and vegetables, you’re doing it right! If the above statements don’t sound like you, then you might be trying to re-create your old diet with technically Paleo foods. This isn’t great, because it doesn’t help you make new habits or re-imagine what a “meal” actually looks like. Save the Paleo baking for occasional treats, and focus on vegetables and meat for the bulk of your meals. I feel full and satisfied after meals. I eat whenever I’m hungry, even if it’s not a scheduled mealtime (Having an appetite for your next meal is normal. Constantly watching the clock to see when you’re next “allowed” to eat is not). I don’t get energy crashes between meals. I don’t feel dizzy or shaky between meals. I don’t need to use any tricks to suppress my appetite, because if I’m hungry, I just eat. I eat at least a palm-sized amount of meat or fish, or 3-4 eggs) at every meal. I’m not afraid of fat. I eat fatty meats and cook with plenty of fat. I eat my egg yolks. I understand that Paleo is not about being low-carb. On days when I have hard workouts, I eat some starchy vegetables. If I feel better eating more starch, I have starchy vegetables every day even if I don’t work out. I don’t have extreme or unbearable carb cravings. *It’s normal to see a slight dip in performance at the very beginning, and it’s not necessarily a sign of anything wrong. It’s just your body getting used to the transition. If it continues past 2 weeks or so, something might be up. If the above statements sound like you, then congratulations, you can check off eating enough food – and its close friends eating enough fat and eating enough carbs. If the above statements don’t sound like you, then one or more of three things could be wrong. You’re not eating enough food. You’re not eating enough carbs. These are all three incredibly common for beginners, so don’t feel bad at all. Paleo food is much less energy-dense than junk food, so you’ll need to eat a larger volume to get enough energy into you. Add fat, carbs, or just more food, as appropriate. I’m sleeping 8-9 hours a night in a completely dark room. I’m moving my body regularly in some way that I enjoy (walking counts if it’s more than 20 minutes a day). I rarely or never lie awake at night worrying about things I can’t control. If I’m doing something when bedtime rolls around, I put the thing aside until tomorrow and go to bed. If I have a bad day, I have ways to feel better that don’t involve food (or alcohol). There might be some stress in my life, but it’s manageable and not overwhelming. If the above statements sound like you, then congratulations, you can check off managing your stress. Chronic stress is a huge health problem, and it can sabotage the most dedicated efforts to lose weight or get healthy. Stress management is part of Paleo just as much as eating the right things! If you were laughing through that list thinking “As if! I wish!” then you probably already know you’re stressed – and you probably also know how bad it is for you. Without getting preachy and annoying about it, this is just another reminder to either take steps to deal with that, or adjust your goals and expectations to account for it. Barring the occasional kitchen disaster, I enjoy my meals. Paleo food is tasty. Food rarely or never prevents me from doing things I want to do or going places I want to go. I still have a social life, and I’m not afraid to go out to eat. If I woke up tomorrow feeling nauseated and dizzy and running a mild temperature, I would obviously skip the gym and take care of myself. I basically enjoy my workouts. I don’t wake up dreading them, and I don’t have to constantly force myself into going. I might be spending more time on food, but my life hasn’t been consumed by shopping and cooking. I still have time to spend with my family and friends. Paleo food isn’t an unbearable strain on the grocery budget. I have an emergency backup meal ready in case life gets rough. If the above statements sound like you, then congratulations, you can check off sustainability! Paleo isn’t a two-week “diet;” it’s a lifestyle change for the long run – but nobody is going to stick with something that forces them to be miserable or takes over their life. The statements above were designed to see whether or not what you’re doing is likely to be sustainable in the long run. Saving time with Paleo cooking. Going Paleo with a crazy work schedule. Money-saving tips, part 1 and part 2. Confusing “health food” with Paleo food and accidentally eating oats, whole wheat bread, or something that isn’t Paleo. Obeying the letter of the law rather than the spirit by re-creating junk food with technically Paleo ingredients. Not eating enough food, enough fat, and/or enough carbs. Expecting that diet will make up for extreme psychological stress or sleep deprivation. Trying to make changes that aren’t sustainable in the long run. Are these the only things a Paleo beginner might possibly be getting wrong? Of course not! But they’re some of the most common – and most likely to cause serious problems down the line. If you checked out OK on all five, chances are you’ve got the basics down pretty well, and you can focus on fine-tuning and tweaking, instead of worrying about the big picture.